The Centers for Disease Control and Prevention has identified about 30 cases of hepatitis A in five states — Arizona, California, New Mexico, Colorado and Nevada — that have been linked to Townsend Farms Organic Anti-Oxidant Blend berry mix that was sold at Costco. The onset of these illnesses has ranged from mid-April to late May. Hepatitis A virus has an incubation period of 15 to 50 days. 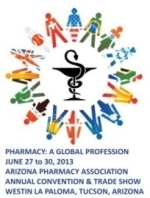 Earn up to 16.5 hours (1.65 CEUs) of continuing pharmacy education. Register today. Life is about risk and rewards, balancing the positive with the negative and taking the good with the bad. Advances in healthcare technology, such as computerized physician order entry and electronic medical records, free up pharmacists' time by automating certain tasks so they can dedicate more time to patients. Technology systems also provide a place to document pharmacy activities that improve patient care across the health system. However, technology also challenges pharmacists to revise traditional roles and embrace change, which can be risky endeavors. U.S. Sen. Mary Landrieu, D-La., recently became the 19th United States Senator to go on record expressing concerns over the impact of Medicare "preferred pharmacy" drug plans on Medicare, taxpayers, seniors and small-business community pharmacies. Are you a chicken or a pig? You may be asking yourself what in the world this question has to do with health-system pharmacy. It actually stems from a leadership scenario about breakfast — if you're having bacon and eggs for breakfast, the chicken is a bystander while the pig is committed and involved. What does all this have to do with health-system pharmacy? Lots. Intravenous infusion of the N-methyl-D-aspartate antagonist ketamine may rapidly relieve symptoms of obsessive compulsive disorder, new research suggests. A small proof-of-concept study of 15 adults with a moderate to severe form of the disorder showed a 50 percent responder rate for OCD symptoms seven days after receiving a single intravenous infusion of ketamine and a 40 percent responder rate at the two-week post-treatment point. Probiotic supplements can prevent or lower the risk of diarrhea caused by antibiotics, according to new research in The Cochrane Library. Scientists from the Cochrane Collaboration suggest that taking probiotics alongside antibiotics can prevent this troublesome side effect. The FDA recently approved the licensing of Allocord, an allogeneic cord-blood product made by SSM Cardinal Glennon Children's Medical Center in St. Louis for use in certain patients with disorders that affect blood production. Tuberculosis programs across the United States have been experiencing severe shortages of a frontline TB treatment since November, and although supplies are beginning to open up, many health departments continue to report difficulties, according to an article published in the May 24 issue of the Morbidity and Mortality Weekly Report, published by the Centers for Disease Control and Prevention. Probiotic supplements can prevent or lower the risk of diarrhea caused by antibiotics, according to new research in The Cochrane Library. The pharmacy at 45-bed Moore Medical Center in Oklahoma may be intact. Immediately after the tornado, no one knew for sure. Long-term azithromycin therapy appears to lengthen the time between hospital visits for patients with chronic obstructive pulmonary disease, according to a study presented at the American Thoracic Society 2013 International Meeting. Researchers used data collected from a previous study of azithromycin use conducted by the COPD Clinical Research Network. Two new drugs, Tafinlar and Mekinist, have been approved by the FDA to treat advanced melanoma, the most dangerous form of skin cancer. Melanoma, the leading cause of death from skin disease, is expected to be diagnosed in more than 76,000 people this year, and about 9,480 are expected to die from it, the FDA said in a recent news release. It is well documented that stimulant drugs used to treat attention deficit/hyperactivity disorder increase blood pressure by approximately 1 to 4 mm/Hg and heart rate by approximately 3 to 8 beats per minute. While these changes are considered clinically insignificant in the short term, their long-term effects are unknown, especially among patients with structural cardiac abnormalities.